Amilo in compact form. 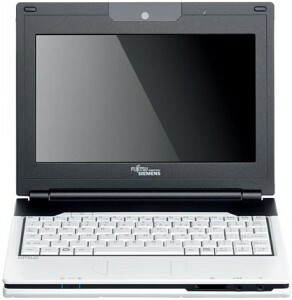 Triggered by the release of the Asus Eee PCs, the trend towards small netbooks is pretty much unstoppable. 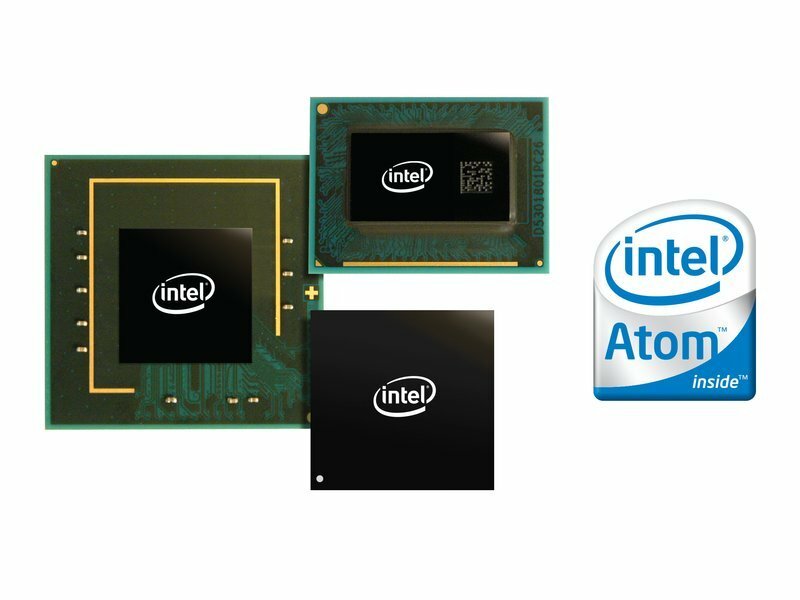 New developers are jumping on the bandwagon every day, offering ever more alternatives to the netbook classic Eee PC. 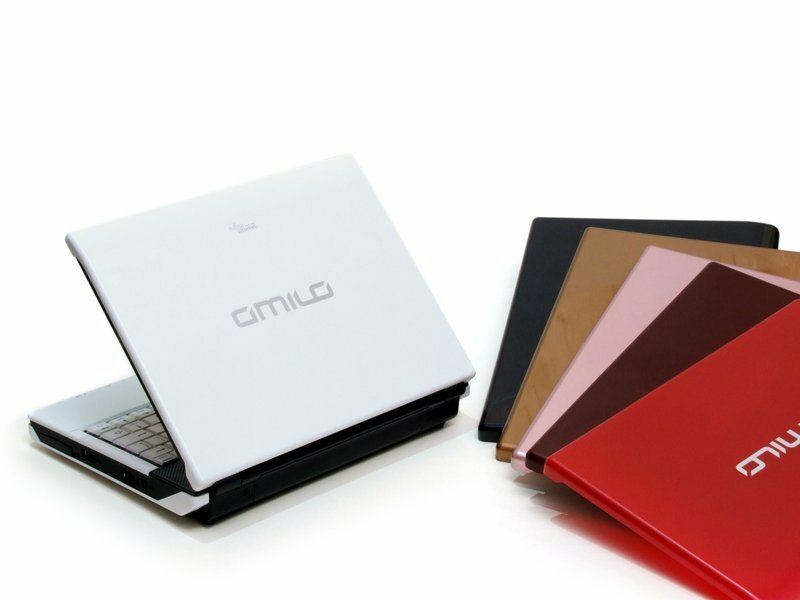 How the Amilo Mini Ui3520 compares, and all the results our test sample achieved in comparison to its netbook colleagues will be seen in the following review. The Fujitsu Amilo Mini Ui 3520 is certainly distinctive in its looks, and it’s reasonably compact and sturdy, but the tricky touchpad buttons and dire keyboard undermine its abilities. 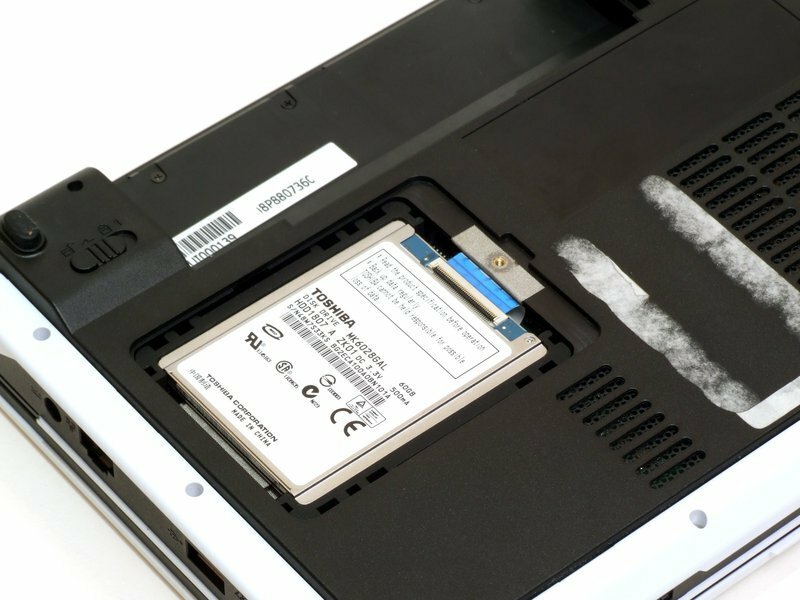 Standard Bluetooth and the ExpressCard slot will have appeal for some users, and the relatively small hard-drive may not, considering most usage scenarios for netbooks, actually be too much of an impediment, but there are other machines we’d reach for before the Fujitsu. The upside is, of course, the price: right now, you can pick up the Ui 3520 from around £245 ($398) online, though that’s still more expensive than the older (but similarly specified) 8.9-inch Acer Aspire One. If it were our money, we’d go for the Acer. 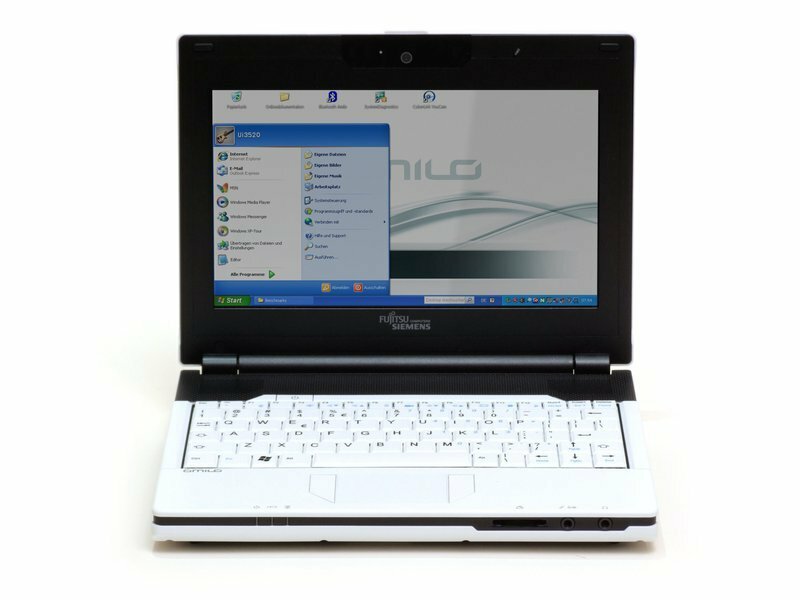 The Amilo Mini UI 3520 might have a name that doesn't really trip off the tongue, but for little more than £200 it is a serviceable netbook. 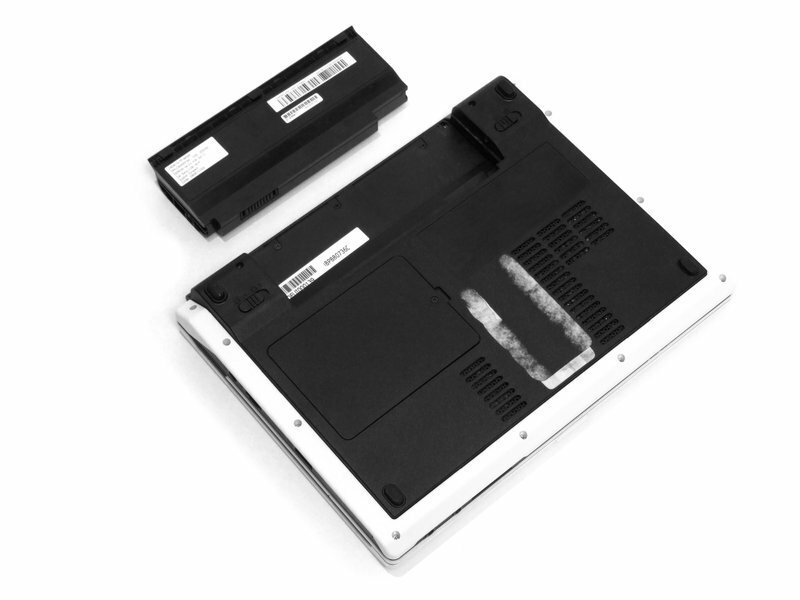 The standard Intel Atom N270 processor provides the main power in this netbook; the newer N280 has barely surfaced as we write. There is 1GB of RAM and the operating system is Windows XP Home. A webcam, Wi-Fi and Bluetooth are par for the course. This is a fair attempt at a netbook but the poorly thought-out keyboard lets things down. You can get more for your money if you shop around. We've been looking forward to testing Fujitsu Siemens' first foray into the netbook arena. The Amilo Mini Ui 3520 comes with replaceable snap-on covers, weighs less than most of its rivals and is relatively cheap at around just £250. It's available to buy from the usual online netbook outlets. 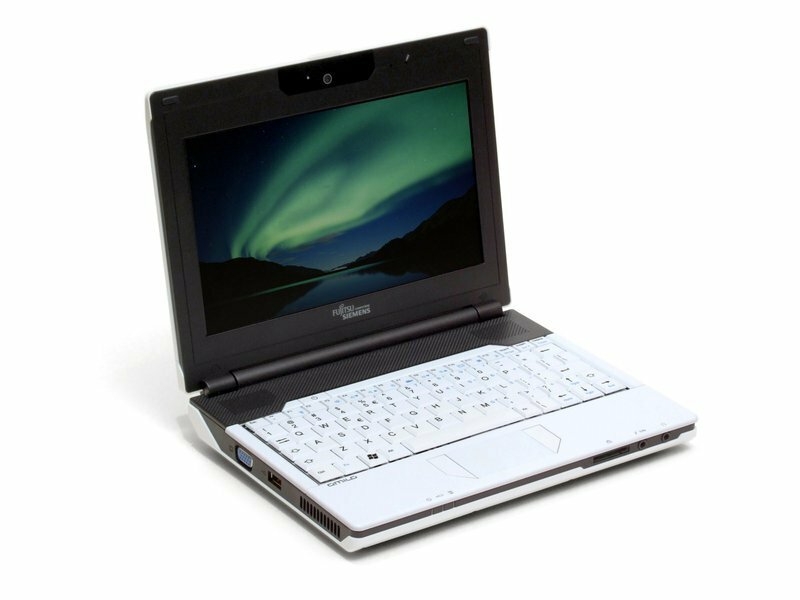 There's certainly a place for the Fujitsu Siemens Amilo Mini Ui 3520 in the netbook world -- its tiny size should appeal to those who want something smaller and lighter than the average netbook. We can't really recommend it, though. Its fiddly keyboard and mouse, and poor battery life mean it simply doesn't measure up to devices like the Samsung NC20 or Asus Eee PC 1000HE. 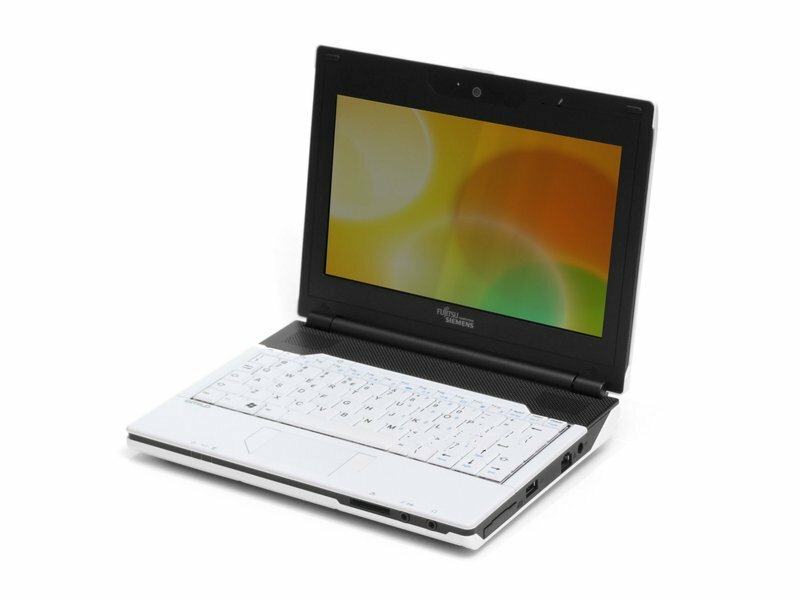 Fujitsu Siemens is no stranger to small laptops, but the Amilo Mini pushes it into the Small, Cheap Computer category along with the likes of the Asus Eee PC and that machine's many, many competitors. If you like to keep your expansion options open, then the addition of an ExpressCard slot certainly makes the Amilo worth looking at and the ability to change coloured lids could be a bonus, depending on your personal preference. Its sub-£300 price tag is also quite appealing. Its downsides, however, are its small display for the machine's overall size, slightly awkward keyboard and touchpad, and sub-par hard drive performance. While it can mostly keep up with the competition, the Amilo doesn't exactly stand out either, making it a decent, if not exactly exciting machine. Aside from the dreadful keyboard, there's nothing particularly wrong with Fujitsu-Siemens' stab at the netbook and if you're the type that likes changing your tech's colour regularly it's the only choice. But in a market as crowded as this that's no longer enough for most consumers and there are better alternatives than the Amilo Mini Ui 3520. Overall we like the design of the Amilo Mini Ui 3520: the Stormtrooper-ish black and white livery make it unique and something of a head-turner. Admittedly we did have some complaints with the keyboard - a little too much flex - but we applaud the consistent layout. If anything, it does look as though there is some wasted space here however: a little more on the screen and keyboard without increasing the overall size could have made this a cracking little netbook. Battery life remains an issue - as it is for many of the lower cost rivals - but unfortunately at this point in the evolution of netbooks, the Amilo Mini seems to be missing the vital ingredient - the 3G modem. But for some that might not matter and around the home or within your favourite Wi-Fi zones, the Mini performs pretty well, and looks good to boot. Slowly but surely, the big players are wading into the netbook market. After Sony's declaration that the entire market was a mere 'race to the bottom', it seems everyone is, nevertheless, getting involved. The same old netbook coupled with poor ergonomics and a grainy screen makes this one to avoid. Overall, the Amilo Mini UI 3520 proved a usable and likeable device. However, at this price, it simply lacks anything that makes it stand clearly out from the opposition, bar the coloured lid. 70% Das ‚kann ja nix‘? 80% Klein, kleiner ... Mini! 74.18%: This rating is bad. Most notebooks are better rated. This is not a recommendation for purchase.